September looks promising with many festivals, fairs, and adventures awaiting your visit. We, at Party Houses researched all about the exciting events happening around the Peak District area and are very excited to share with you our top selection! 3 days of family entertainment await you at the Chatsworth Country Fair. 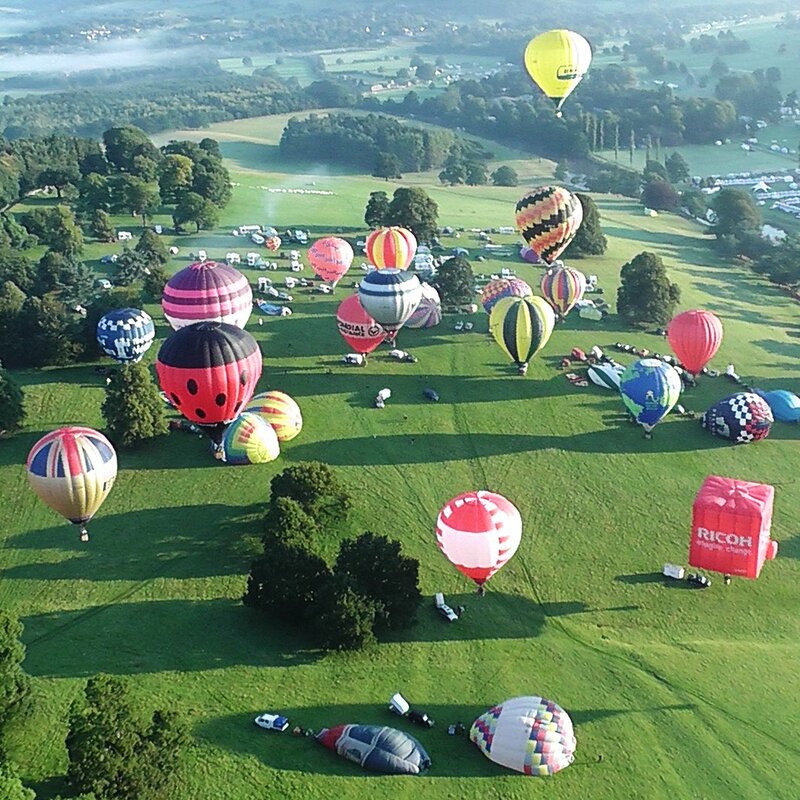 From the Hot Air Balloons, Armed Forces Display, Commercial Vehicles, Hurdle Maker, to Dog Agility, Gundog Test, Highland Dancing, Horse Driving and more! Set in the beautiful surroundings, this fair will not leave you disappointed. If you are looking for a place to stay during the festival, make sure to check out some great Party Houses. This concert will take you down memory lane and is sure to evoke fond memories of this fantastic period! RELAX, SPIN ME ROUND, REAL GONE KID, NEW SENSATION, ELECTRIC DREAMS, and more! No other era was so colourful and influential! Come and have fun. The eighties generation are back and “Total 80’s” are here to deliver!!! Bi-monthly celebrated tea dances await you in September at the Nicholson Institute. Accompanied by live music in the Gallery, you and your friends will be able to dance all afternoon. The entrance fee is £3,50 per person. Are you ready for Britain’s Most Adventurous Festival? The Base Camp Festival is a mix of adventure and great music! Two of the guest speakers that you won’t want to miss are the big wave surfer Andrew Cotton, and paragliding adventurer Sacha Dench. Meet new friends, listen to their great adventure stories, and share yours. Then dance under the stars to live music! Henbury Hall Gardens await all the plant lovers for its Autumn plant fair. If your garden is looking a little tired after the summer, then take this great opportunity to find some late blooming plants to cheer it up. The nursery folk will be there to share some tips and experience. There is still enough time for plants to establish and make themselves at home before winter comes. Come and find your favorite flowers! If you are staying in one of our dog-friendly Party Houses, we have great news for you! During your stay at the Peak District, you’ll be able to train your pets in the nearby farms. Private dog training classes for puppies and progressing adult dogs will be available at the Onecote Village Hall. Come and spend an exciting day together with your best friend.